Legit Reviews reports Intel's X79 chipset is expected to arrive in the final quarter of this year. Keeping that in mind, it's hard to believe that the Intel X58 Express chipset has been out since Q4 2008! 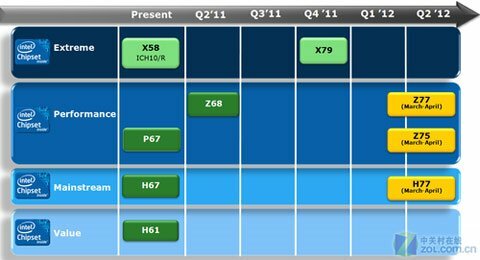 We all knew that it would have to be replaced at some point and it looks lie that time is coming in Q4 2011 as that is when the X79 chipset is released. Having the flagship socket and chipset remained unchanged for three years is pretty darn good if you ask me, but X58 is starting to show signs of aging and does need to be put out to pasture.